Posted this DIY Computer-fan Stir-plate build on both the AHB and JBK forums. The first stir-plate I built this way has been in use for the last 2 years, and is still going fine, but another one (or two) will be helpful to build large lager starters. There are many variants and online guides including this epic 6-year-old thread on the AHB forums. 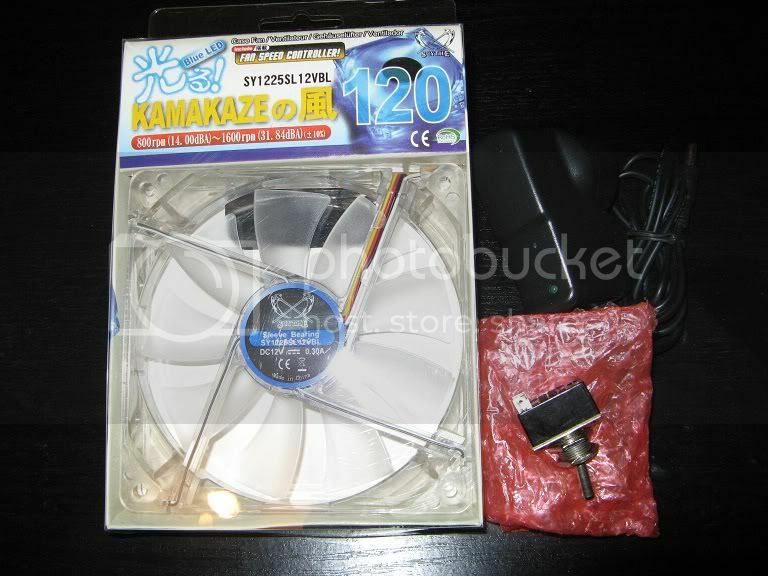 120mm speed-controlled Computer fan, I have used a "Scythe 120mm Blue LED with VR Fan (SY1225SL12VBL)". 12V DC power adapter, (cheap) from Ebay. 8x 8mmx1mm rare-earth magnets, same as the cheapest ones on Ebay when searching for 'rare earth magnets'. A standard (cylindrical) teflon-coated stir-bar (from lab-supply shop), I find that 20mm and 26mm long ones work well for starters from 50ml to 5L. An enclosure, screws etc to mount the fan/stir-plate. Superglue to stick the magnets to the fan-hub. Solder, a few bits of wire, gaffer-tape, electrical tape, heat-shrink-stuff. The tricky part seems to be getting the magnets positioned correctly. 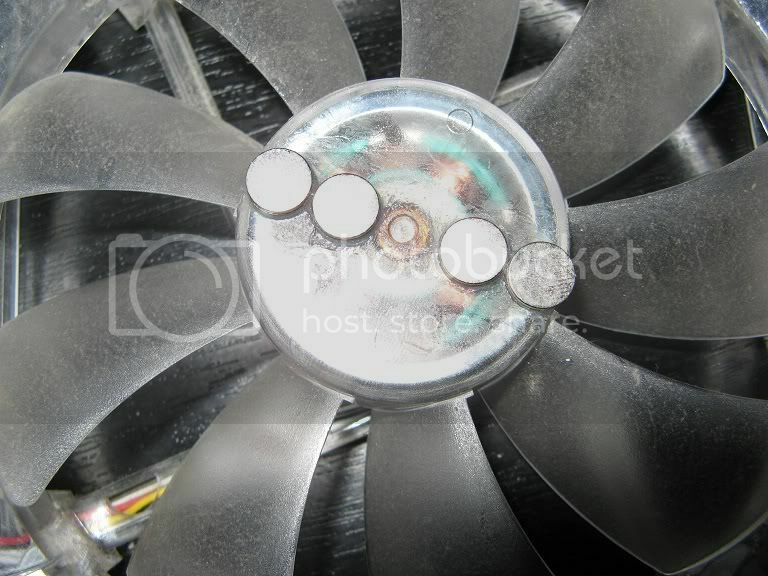 I use 8 of the 8mm x 1mm round rare-earth magnets, with 2 stacks of 2 on each side of the fan-hub, as you see below. This size and arrangement seems to work well with the fan, and works with all flat-bottomed stir-containers that I have tried. 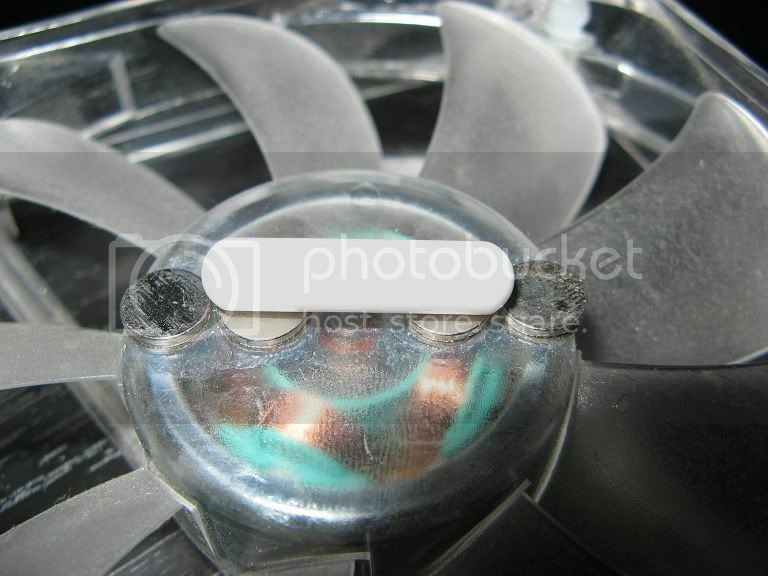 Attach the magnets with super-glue, but some care and attention is needed, since they will 'interact' with the copper coils inside the fan and once you have placed one, all the others want to try to stick onto them. Draw a line across the middle of the fan-hub and then arrange the magnets along that line. Try to space them evenly since that will help keep the fan balanced (try to do a better job than I did here, also try not to stick your fingers together or to the magnets or fan with the superglue). The ends of the stir-bar will have opposite magnetic polarity, so each set of 4 magnets (on opposite sides of the fan-hub) must be arranged so that their magnetic polarity is the opposite to the ones on the other side. Essentially one set of magnets 'push up' and on the other side of the fan-hub the magnets 'pull down', this way the corresponding 'opposite' magnetic attraction from the ends of the stir-bar will 'lock on' to the magnets as the fan spins (even at 1600RPM the stir-bar shown in the picture below will stay firmly attached to the magnets). If you buy your stir-bar before you place the magnets, I have found that the best spacing for the magnets is to have them as wide apart as the stir-bar is long (as per the picture below), closer or further apart does not work as well, but the distance is dependent on the length of your stir-bar. By using 2 sets of magnets, both a smaller and larger stir-bar can be used. 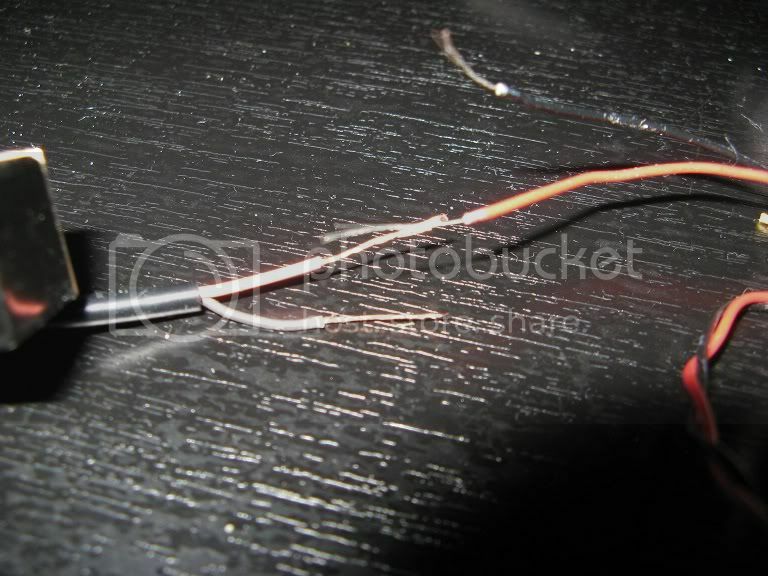 To assemble the stir-plate, cut the plugs from the power-adapter and the fan, and then strip the wires. Connect the appropriate wires (positive/negative, usually red/black) from the power supply to the fan (red and black wires, the yellow wire is not used, so simply cut it off and ignore it). The connection will be 12V and only work one way, so you can easily join the wires together to ensure that it works before you attach them permanently. Solder and shrink wrap are the best way to go, but the wires can simply be wound together by hand and then wrapped with electrical tape. An on/off switch allows the stir-plate to be controlled without having to pull the plug from the wall, simply wire the power-supply wire(s) to one of the switch's terminal(s), and the fan-wire(s) to the other. There are many variations of equipment that all work much the same way, you might already have most of the items, and so any additional costs will be minimal. Any size computer-fan will work, however I find the 120mm fans are easy to work with and the fan-hub is a good size for the size stir-bars that I use. 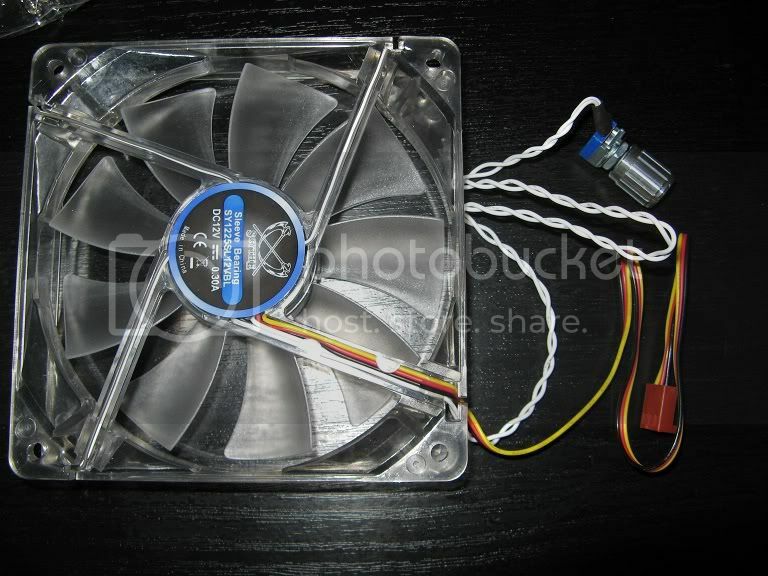 Most any old computer, or computer power supply will have a fan you can use, simply remove it, strip the wires and use it as outlined above. (Old) Computer disk-drives have strong magnets inside them that can be removed and glued to the fan-hub, this works fine, but is more effort and since the magnets are a U-type shape with both poles on the same magnet, they are harder to adjust and tend to be a little more uneven. The rare earth magnets are very cheap on Ebay, so I find them a much better solution. Any 12V DC power supply should work fine, if you have an old (unused) one from a mobile phone, cordless drill or other electrical device, there would not be any need to buy a new one. Computer fans also function from about 5V up to about 15V, so in theory any DC adapter in that range will work, however it will change the speed the fan works at, and may make it too fast or too slow. Old computer power-supplies can also be used, however they tend to be large and cumbersome, but if you have one it is possible to short the on/off leads and use the 12V supply from that to power the stir-plate. It is also possible to use power-adapters used for external computer-hard drives or the like, since they will usually supply 12V, it is just a matter of identifying which wires are which. 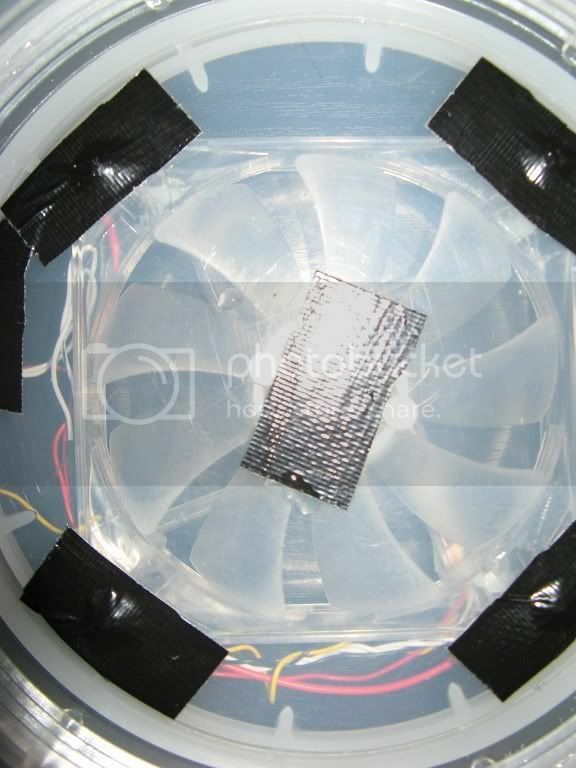 If you do not have a 'speed controlled' fan, you can adjust the speed of the fan by altering the voltage, this can be done with a variable power supply or by changing power supply, however I have found that the continuous-dial-type-speed adjustment works much better than the 'steps' that variable power-supplys offer, and that it is much easier to get the stir-plate working correctly if you can fine-tune the fan-speed. 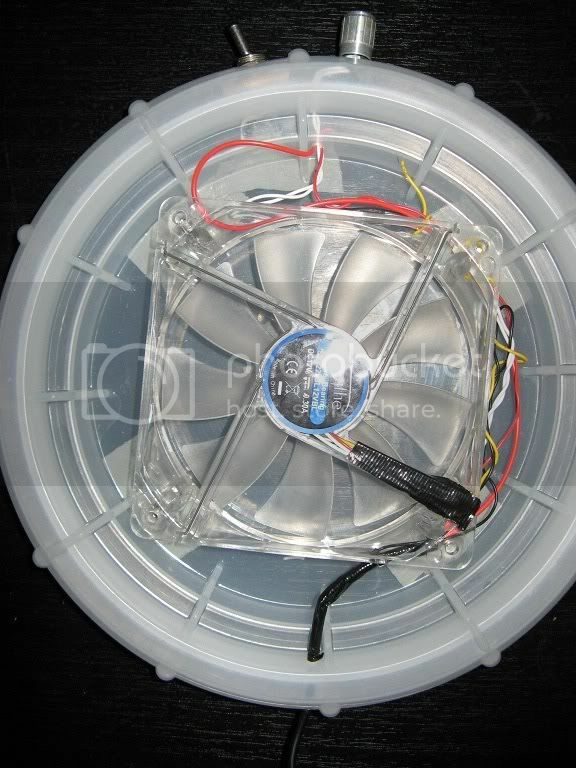 A potentiometer is also a good way to control the fan-speed, it just requires a little bit of extra electronics. A search on Ebay for "LED Dimmer" should result in a number of (different types) of LED Dimmers, used for LED lights, these would also make a very good pre-made speed controller for a DIY stir-plate. Simply wire them in between the power supply and the fan, and they would provide continuous speed-adjustment. When mounting the fan, obviously the magnets need to be on the 'top' as close to the top of the enclosure as possible without actually rubbing against it when it spins (make sure you check before turning the fan on). Solid, thin, non magnetic or metallic materials (usually plastic) work best, but the type of enclosure you use often depends on what materials or skills are at hand. Nice wooden, plastic or perspex enclosures can be made if you are skilled working with those materials. Pre-made hobby/jiffy boxes are common, but anything else can also be used, a children's plastic lunch-box, a plastic kitchen-container, a CD spindle, a bucket etc, the list is almost endless. 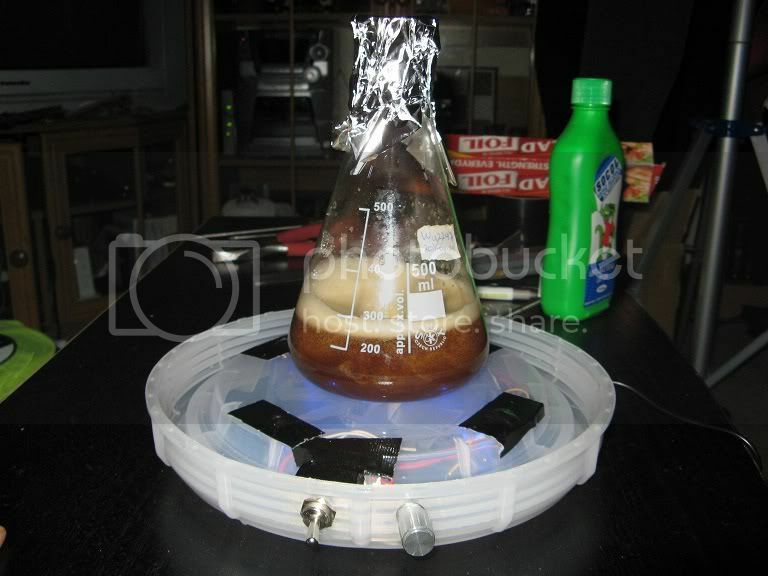 Try to ensure that the the top of the enclosure is fully covered, yeast-starters can over-flow the container, and drip down and short-out the fan, which is something best avoided (the first stir-plate I made caused some nice fire-works in the lounge room this way). In this case I used the lid from an old Coopers-type fermentor, since I use cling-wrap when fermenting beer, the lids are essentially rubbish now. It looks ugly and I hope that others make stir-plate enclosures that look nicer, however it is solid, the fan fits perfectly inside the 'indent', the size makes it impossible to tip over, and it easily holds even a 5L starter. From below, On/off switch and speed-control at the top, power supply at the bottom of the photo.
. Picture Window theme. 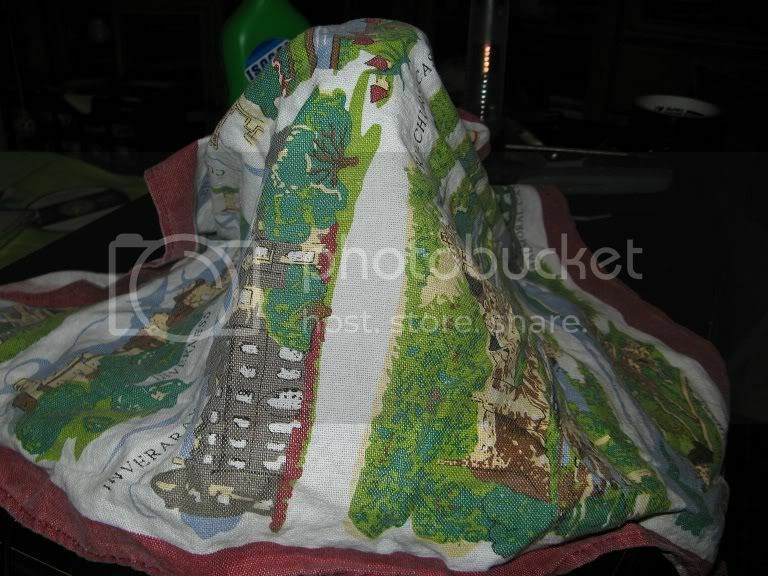 Theme images by peepo. Powered by Blogger.